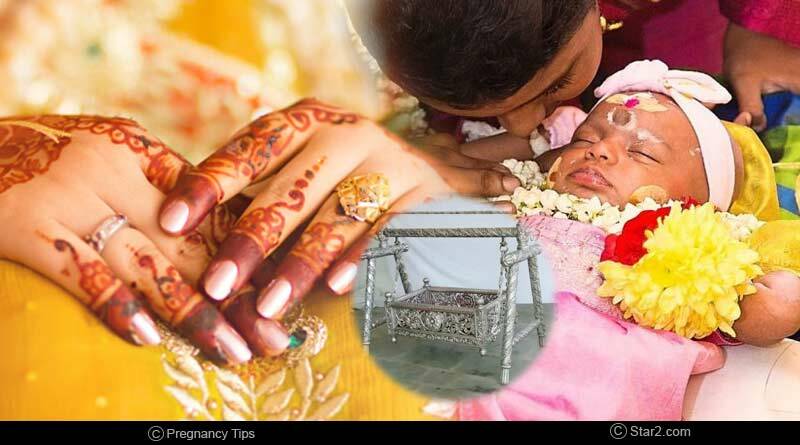 Do you know the significance of Hindu birth rites and rituals until childbirth? Hindu Vedic religion includes a lot of rites and rituals that begin from the very moment when a seed starts to germinate and the process of life begins. While many people take them to be mere superstition, the believers of Vedas dig deeper and understand that there is science behind it all. To put it in simple words we can say that, when it comes from the east it is taken as a superstition, while when it comes from the West it is taken as science. All the customs and rituals that have been followed by our ancestors did have a religious and scientific significance. So here you can find out the significance of Hindu birth rites and rituals until childbirth. It is the ritual that gets performed itself when a couple decides to have a baby and get into the process of conception. The creation of another life begins from this very step. Hence it holds great significance in Hinduism and is considered a sacred practice and not merely a sensual gratification. It is also believed that Lord Brahma, who is the creator as per Hinduism is appeased with this practice. It is supposed to take place in the third month of pregnancy, as that is the time when an embryo grows up to be a fetus and now that it would need more care. While many of these rituals might not be performed as other rituals, but the natural phenomenon that takes place is considered a ritual in itself. It takes place a month before the delivery of the baby is expected. In general, a human pregnancy is supposed to be for nine months. In any case of complications, the Seemantonnayana ritual might be performed a little before the delivery is to take place to have a safe delivery. During this time, the Hindu God Dhata is prayed to hope for better health of the mother and the child. There are many rites that take place after the child is born, which includes rituals like Jatkarma. It involves a celebration to welcome the baby till the time the child is ready to seek a formal education. For more details on the significance of Hindu birth rites and rituals until childbirth and related updates, like and subscribe to tentaran.com.